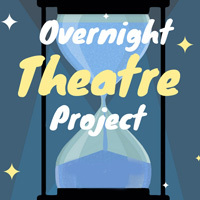 Overnight Theatre project brings together some of South Florida’s most recognizable theatre artists to conceive, create, produce, and perform brand new plays overnight! Held Sunday evening through Monday night – the “dark” days for most theaters – this overnight festival unites local playwrights, actors, directors, and technicians to write, rehearse, and perform up to 9 short plays. This ticketed event is a fundraiser for Theatre Lab’s Intern & Apprenticeship Program – which provides paid internships in various aspects of professional theatre to college-age students.